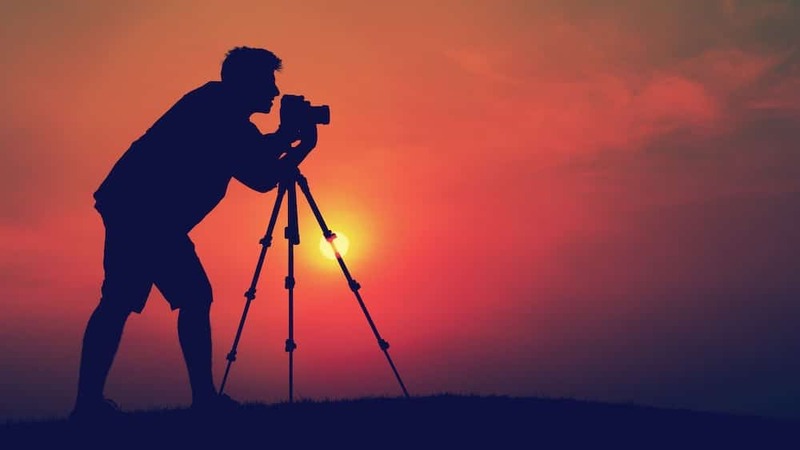 Some people see photography as a mere hobby but in a more realistic way, it can be viewed as a source of reasonable income if you’ve got what it takes to invest time and resources in it. Anyone can be a photographer but being a professional photographer requires an adequate level of experience and a sufficient amount of investment. The task of starting up a photography business is not as difficult as some people think. To appear more professional, you’ll have to secure a studio for your work. However, you can still start a photography business from home and look to secure an office space at a later time. If you’re thinking about all you need to tap into the business of photography and make a reasonable success out of it, this very article could be the content you need to make your dream come true. Briefly speaking, this article discusses the important tips for starting a photography business and what you need to do to make the business grow after setting it up. Like many other businesses, photography requires drawing out important things on paper before getting started. Meanwhile, this paper will be a document outlining the purpose of your business and how the business will be managed to ensure profit is realized. Essentially, a well-written business plan should give information about the business ownership and show the expected profit in relation to the proposed expenditure. The business plan should contain other important things including business needs and how funds may be generated to meet these needs. If you think you haven’t got the ability to think about all the things you need for a photography business and put them on paper, you can grab one of the well-written business plan templates that are free to download. Just look for anyone with detailed contents focusing on the business of photography. Photography is one of the businesses that require startup finances and before you venture into the business, it is essential that you incorporate your startup finances into the business plan. If you would like to appear more professional, you’ll have to secure some office space for the establishment of a studio. Of course, you can choose to work from home and simply avoid rental costs but having a studio seems more professional. The cost of the office space you’re securing is part of your startup finances and you may have to compare the prices of several commercial rental properties to find an affordable option. Importantly, the cost of camera equipment constitutes your startup finances and depending on the quality you prefer, you could be spending nothing less than $10,000 on camera equipment. What more? Insurance and business licenses are just some of the other important things that make up your startup finances. By estimating all these expenses, you can easily determine the amount of cash you need to kick-start your photography business. A Good Camera: Your most important tool. So you’ll have to find the best models for your photography niche. Reliable Transportation: To get to and from your shoots. Smartphone: For sharing photos and behind the scenes shots. Editing Software: A Program like Photoshop is a great investment for photographers. External Hard Drive: Digital photos usually take up so much space. Photo Printer: Buy a good color printer that will make your pictures really stand out. After estimating the amount of cash you might need to venture into a photography business, obtaining this cash could be the next step. Most entrepreneurs, especially those with little capital outlay, usually resort to borrowing from financial institutions. You may have to follow suit provided you don’t have sufficient cash on you. As a suggestion, you can also generate some part of the startup funds from friends and relatives who are financially capable. Needless to say, you don’t have to wait until you’re able to save up all the money you need by yourself. Request a financial institution for assistance or simply meet a couple of friends and relatives to help you out. Believe it or not, it might take a whole lot of months before your photography business starts yielding sufficient returns. Don’t ever think sufficient profits will start coming in immediately you put all the business requirements in place. In fact, some successful photographers claimed it took almost two years for their photography business to start yielding sufficient profit. While your newly established photography business is yet to bring reasonable profit, you’ll need cash to settle personal expenses such as payment of utility bills. So, it’s advisable that you have a side hustle that can fetch you enough money while you await sufficient profit from your photography business. The best way to acquire a reasonable magnitude of photography skills is to get attached to a professional photographer. If you’re serving as an assistant to the photographer, you’ll acquire photography skills quickly enough. Many of the successful photographers out there once worked with professional photographers before they could acquire the adequate expertise in photography. Moreover, prospective clients need to be convinced that you are an experienced photographer before they can patronize you. Experienced photographers find it easy to decide what customers pay for their services. The reason is that they already know what every minute or hour spent on a photography task is worth. They readily know the number of hours they will spend while shooting or editing for a client and as such, they charge prices that are worth their efforts. As a startup photographer, setting up a profitable pricing plan might be tricky but if you can estimate the worth of every hour you spend on a photo session, you’ll find this very easy to do. Of course, you’re at the discretion of deciding the pricing plan that suits you. Just ensure that whatever you’re charging is worth your effort. If, for instance, you performed a two-hour photo session, you could be spending up to 6 hours while editing the work. Provided you’re satisfied with charging $40 for every hour you spend while working, you could charge a client $280 for a two-hour photo session. By breaking it down, $80 will be the charge for the photo session while $200 will be the charge for editing. A business brand is key to the growth of your photography business. Quite frankly, it will go a long way to distinguish you from others. In building a business brand, you have to identify the quality that distinguishes you from many other photographers and carve out something unique from it. It could be that your photography services are centered on specific groups of people and from that, you can easily create your own brand and unique style. Meanwhile, you should note that uniqueness is what makes way for an attractive brand. A website is an online platform you could use to attract a multitude of clients. To make this a reality, you have to come up with a professional website with amazing features and well-written contents that will describe your business to prospective clients. Some of the vital contents your website should have are your contact details, your background information, the prices you charge and a list of your past works –such as a couple of eye-catching pictures you captured for clients previously. Importantly, your business website should be nicely arranged and stocked with lovely pictures that will convince potential clients about your expertise. Associating yourself with other photographers is part of networking and it is one of the things you should incorporate into your photography business in order to make a reasonable success. While other photographers can be your competitors, there are still lots of benefits they can offer you. In that case, you can join a number of clubs, forums and groups to interact with others, make them know who you are and what you’re capable of doing. Doing this is a great way to boost your business reach and perhaps, some photographers may decide to refer clients to you. Your relationship with clients should prove how experienced you are. Some professional photographers try as much as possible to meet their clients a few days before the shoot. Doing this enables them to interact well with clients and ask them what their expectations are. Clients want the best from you and one great way you can give them the best is to know what they expect of your pictures. If clients are satisfied with your interaction with them coupled with the excellent pictures you’ve churned out for them, they’re very likely to refer potential clients to you. Facebook, Twitter, and Instagram are just a few of the social networks you could use in promoting your photography business. Provided you have established a great presence, coupled with a huge following, on these social networks, you can easily attract lots of potential clients. You can create a Facebook page and display some of your beautiful works on it. Creating social media presence for your business is a great idea simply because having just a quality website without any social media profiles might not be enough to give your photography business the massive online presence it needs.